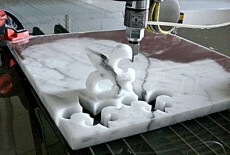 Waterjet cutters use a stream of highly pressurized water to cut. 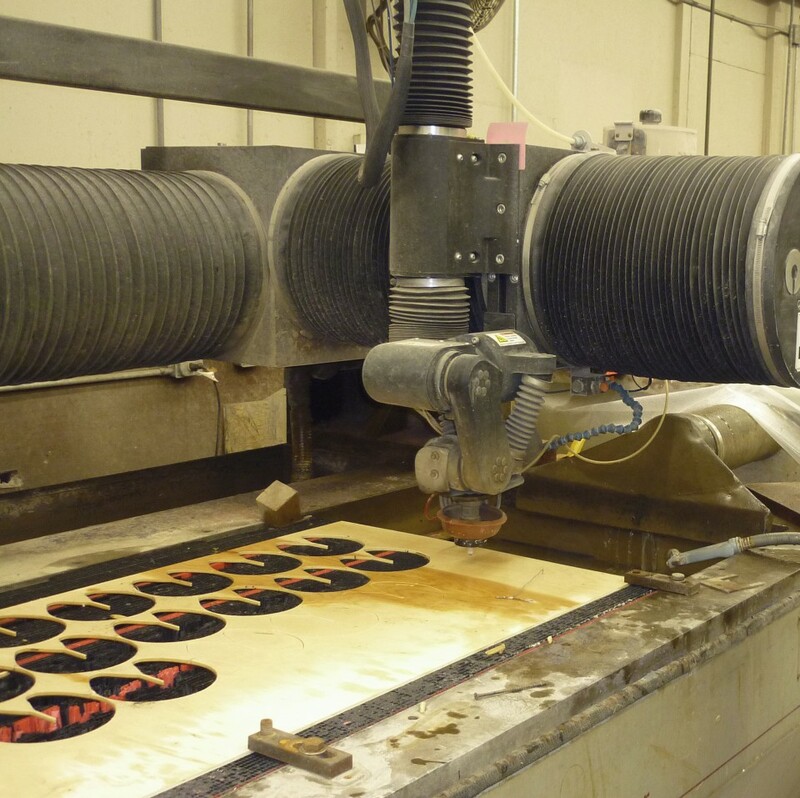 They are used for metals, stone and glass, but also in the food industry, for pizzas, cakes, vegetables, frozen food, meat and candy bars. 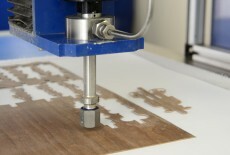 Waterjet can be used for softwood, hardwood and plywood. 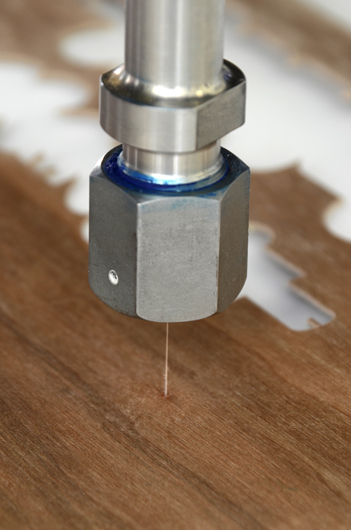 Because the edges do not necessarily get wet from the cut, it can also be used for MDF and particle board, although for these materials laser cutting is probably more suitable. 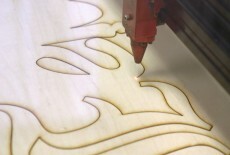 The cut is very thin, <1 mm, and any elaborate 2D shape can be cut. 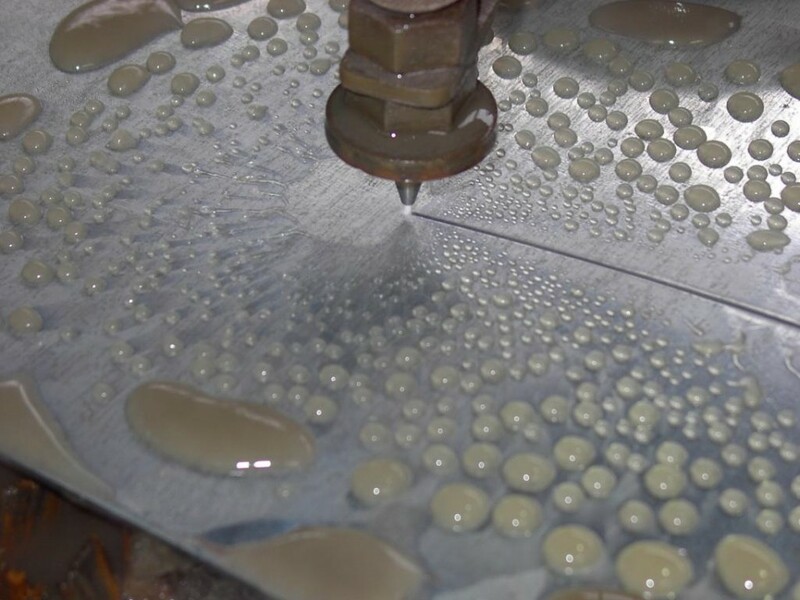 Depending on the hardness of the material, the stream can be just water or water mixed with an abrasive material, normally garnet (which is the mineral used also in sandpaper). 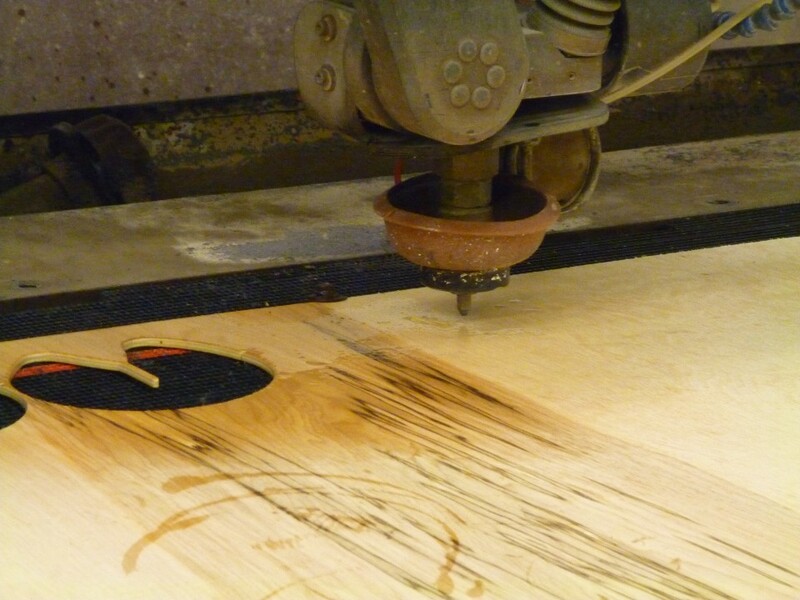 Waste from waterjet cutting is water mixed with cut material and eventually abrasive. 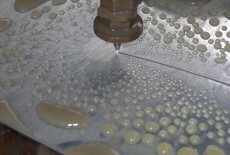 Depending on the type of material, wastewater can be discharged or must be treated. 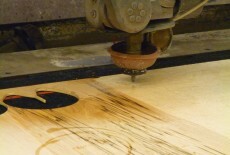 Waste abrasive is usually landfilled, although the technology for recycling it on the spot exists. 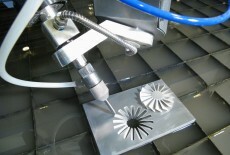 Abrasive waterjet cutting requires 0.25-0.5 kg of abrasive per minute. 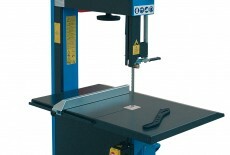 Over the lifetime of a machine this translates in a very high material footprint. Made of hundreds of kg of steel, aluminum, copper and plastic, waterjet cutting machines have a high embodied energy. 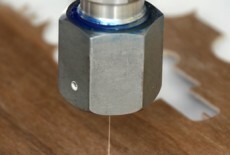 Waterjet cutting is the only type of cutting that does not produce dust or fumes. 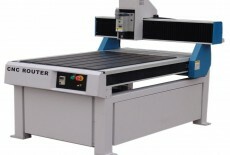 Because it reduces the need for manpower compared to power tools, laser cutting produces at a lower cost. Waterjet cutting is automated and much faster than cutting with a router. 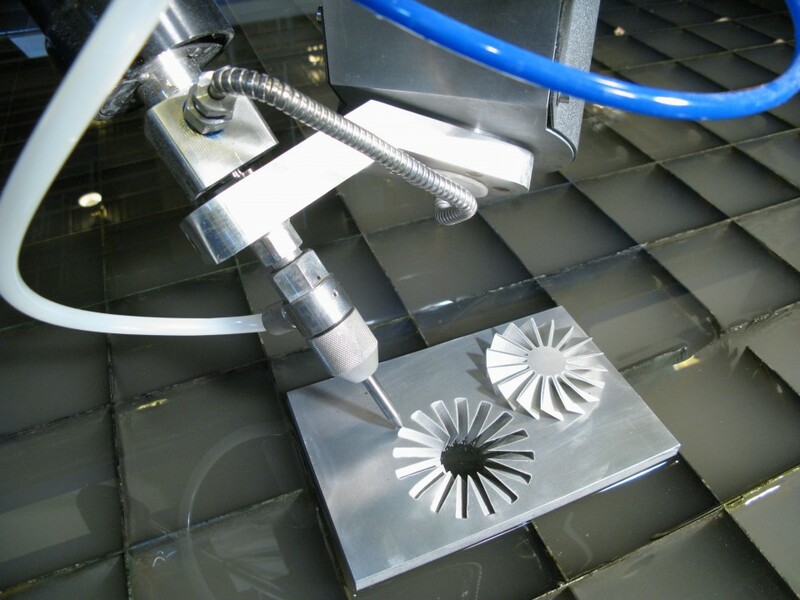 A lot of water is used for waterjet cutting, from 0,16 up to 8 liters per minute, depending on the hardness and thickness of the material (1) (2). 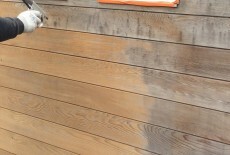 The water is disposed after use. 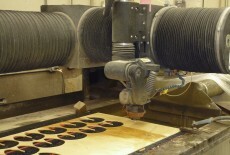 High investment costs make waterjet machines only appropriate to mass production. 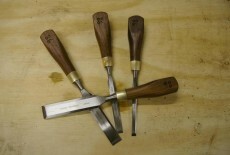 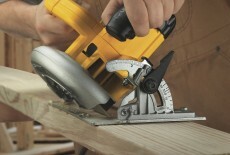 As a woodworker you would probably want to outsource its use rather than buy an installation.